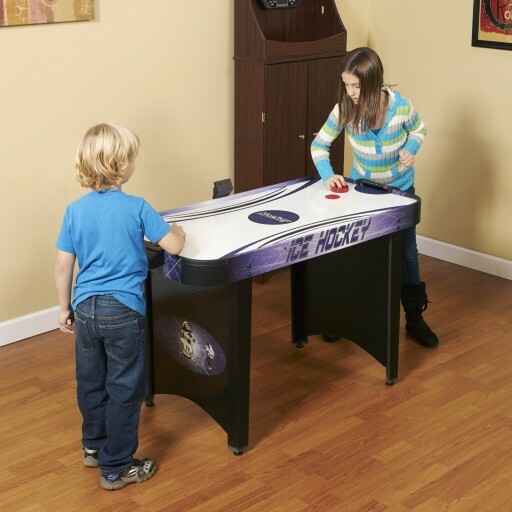 Upscale table features along with quality construction makes the Hathaway Hat Trick table a great starter air hockey choice. 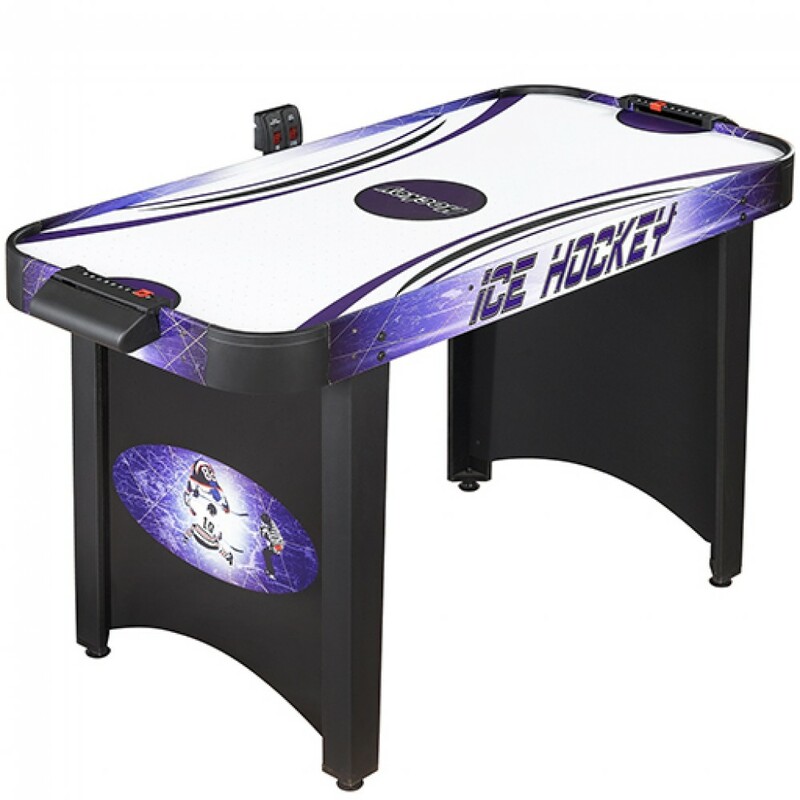 The table's high output 110V UL-approved electric blower, weighted strikers and pucks, and sturdy L - shaped legs with independent stabilizing levelers mean many hours of fast paced action. 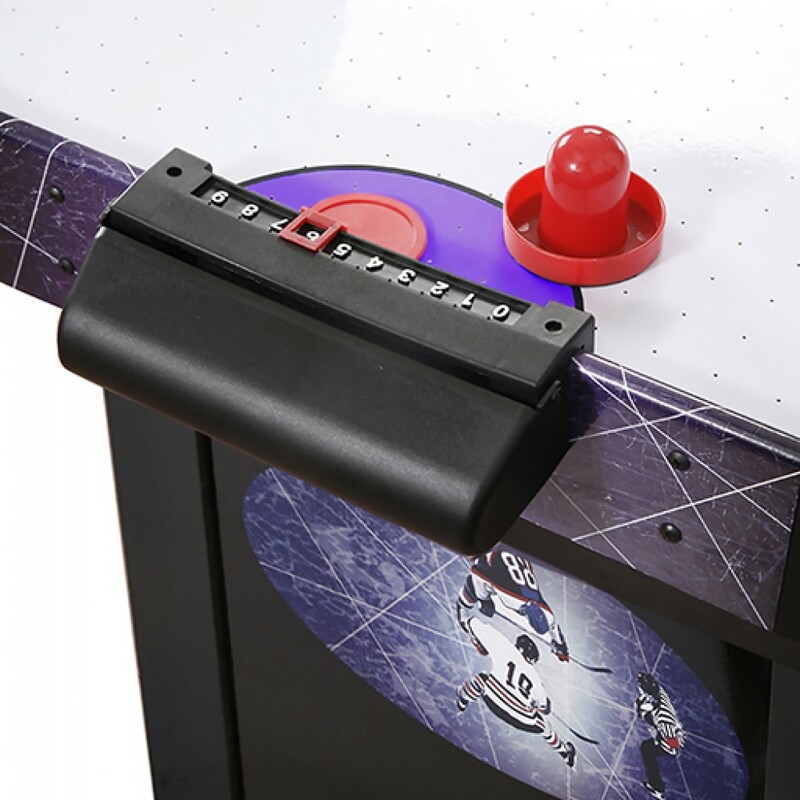 The entire playing surface is poly-sealed to allow maximum airflow and great puck action. Hathaway's 4-ft table is made with strong CARB Certified MDF material that is far superior to flimsy particle board and plastic. 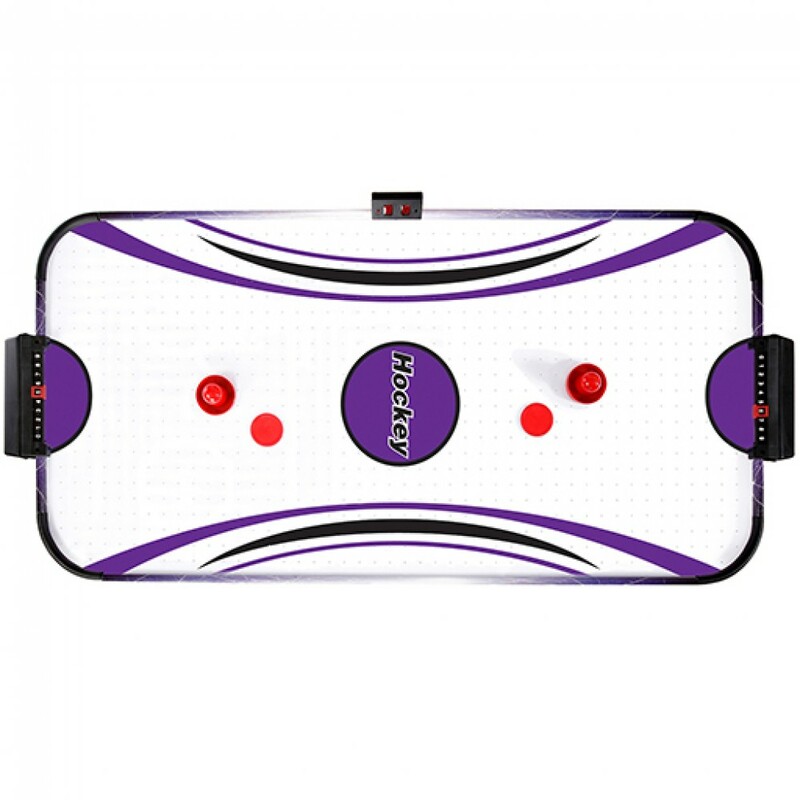 This table has built-in goal boxes and electronic as well as manual slide scoring system to keep track of all the action. With all the quality features, you can't go wrong with the Hat Trick. 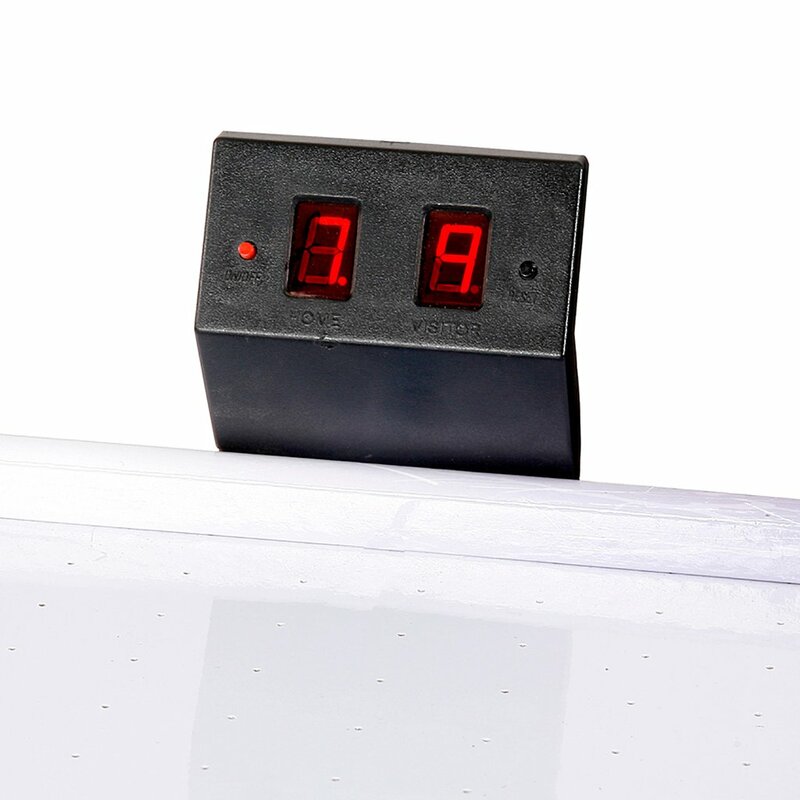 Comes with two 3-in strikers and two 2.5-in pucks. UL-approved. 180-day limited warranty.